''Sandcastle'' is waiting for you. Short stroll to miles of beaches and coastline trails. The sound of the surf beckons you from your wind protected sanctuary. Awesome views from private sand dunes. Pride of ownership shows in this well built and well maintained home. High end paneling, rare redwood plywood siding and redwood gutters are indicators of quality construction. Large private yard with fire pit and picnic area. Plenty of room for a baseball game. House rules, ''Relax, Relax, Relax''. 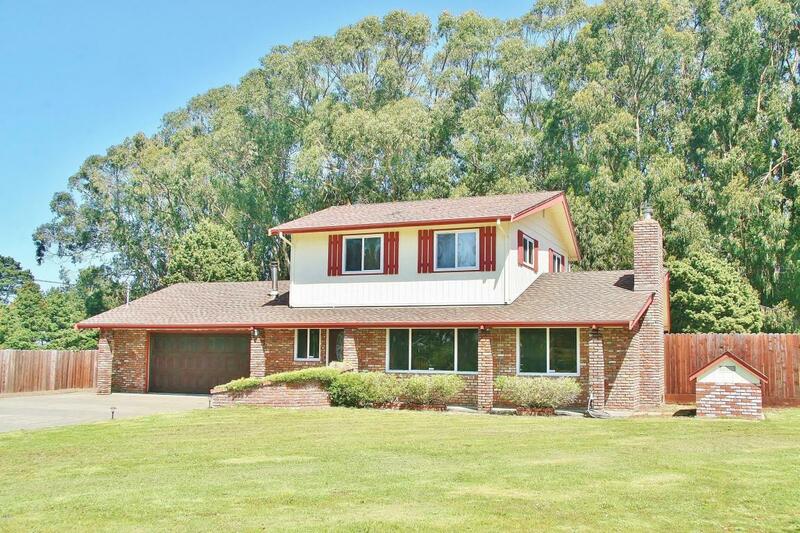 Four bedrooms, two baths, plenty of parking and an oversized garage on almost two acres. Perfect for vacations or full time living. This could be the home you have been looking for.